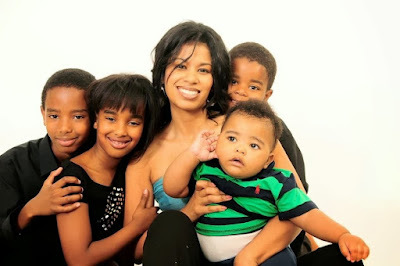 Home BIOGRAPHY Julie Gichuru Biography, Husband, House, Salary, Wedding, Age, Daughter & Photos. Julie Gichuru Biography, Husband, House, Salary, Wedding, Age, Daughter & Photos. Julie Gichuru is an entrepreneur born 7 January 1974, a media personality and a producer. She is the Founder and Chief Executive Officer of Arimus Media Limited, a production house focused on quality African content, and MIMI HOLDINGS LTD, a fashion retail business. Julie Gichuru started off her education at St Christophers School in Nairobi and at the age of eight attended the Green Herald in Bangladesh where her father was posted for military training. On returning to Kenya Julie spent a term at Karen C school based in Karen before transferring to Loreto Convent Msongari in Standard Four. In Form 2 Julie convinced her parents to transfer her from the local 8-4-4 system to a GCE boarding school and she joined Imani School in Thika for Form 3 and 4. After this she spent two Semesters at USIU before transferring to UK where she did a one year pre-University Course at Warwick University. Julie started off her education at St Christophers School in Nairobi and at the age of eight attended the Green Herald in Bangladesh where her father was posted for military training. On returning to Kenya Julie spent a term at Karen C school based in Karen before transferring to Loreto Convent Msongari in Standard Four. In Form 2 Julie convinced her parents to transfer her from the local 8-4-4 system to a GCE boarding school and she joined Imani School in Thika for Form 3 and 4. Gichuru holds an LLB Law and an MBA from Cardiff Law School University of Wales and Cardiff Business School University of Wales resepctively. After Julie did her masters in Law, she didn’t want to join the bar because that ment that she would go a year without any pay and she needed to support herself and her grandmother. She prefered trying her luck in the media. She went to KTN and fortunately she passed the interview and was supposed to be in the business and legal section. While at KTN she got a better offer at Capital FM before moving to television as a reporter and News Anchor at Kenya Television Network, part of The Standard Group. During her time there, she the launched investigative series The Inside Story, focused on corruption, crime injustices and inequity in Kenya. She later worked to NTV before moving to Royal Media Services. She is the first African woman to receive the Martin Luther King Salute to Greatness for advocacy of non violence following the 2007 election in Kenya. 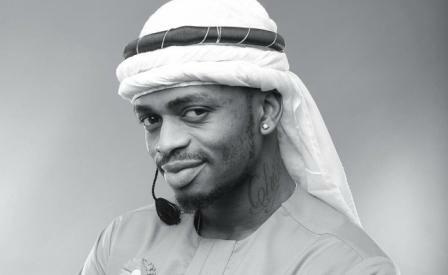 Julie was declared a Young Lobal Leader by the World Economic Forum in 2010. She was awarded the Order of the Golden Warrior for her contribution towards nation building by President Mwai Kibaki in 2011. Julie has been recognized by Forbes Magazine as one of the top 20 Young Power Women in Africa. Recently Julie was recognized in the WIE list of 60 most influential African women in the world. 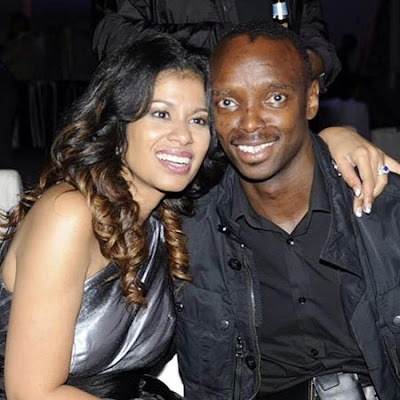 Anthony Gichuru, Julie Gichuru’s husband is a practicing pilot. Anthony Gichuru comes from a wealthy family and his family is amongst one of the richest families in Kenya. Little is known about Anthony as Julie Gichuru usually goes out of her way to shield her family from the public limelight. Julie Gichuru is passionate about family, she is married to entrepreneur Anthony Gichuru and they have had 5 children. Most people believe that Julie Gichuru is part Caucasian from the UK due to her immensely light complexion. 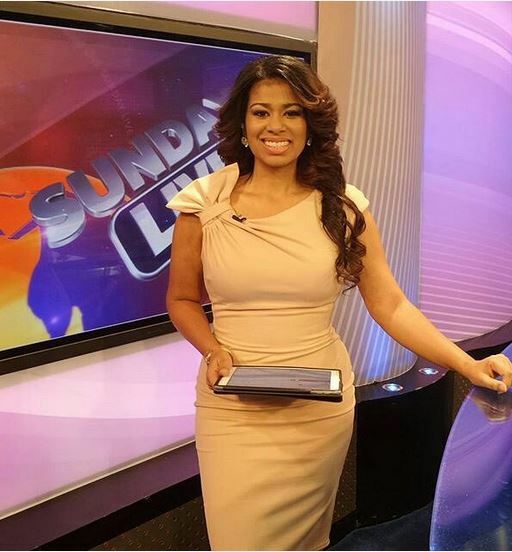 Julie Gichuru is of mixed origin with her father being an Indian and mother a Kikuyu from the Kiambu region. Her father’s family is originally from Kashmir and migrated to Kenya in the early 1900s to work on the railway line being built by the British. 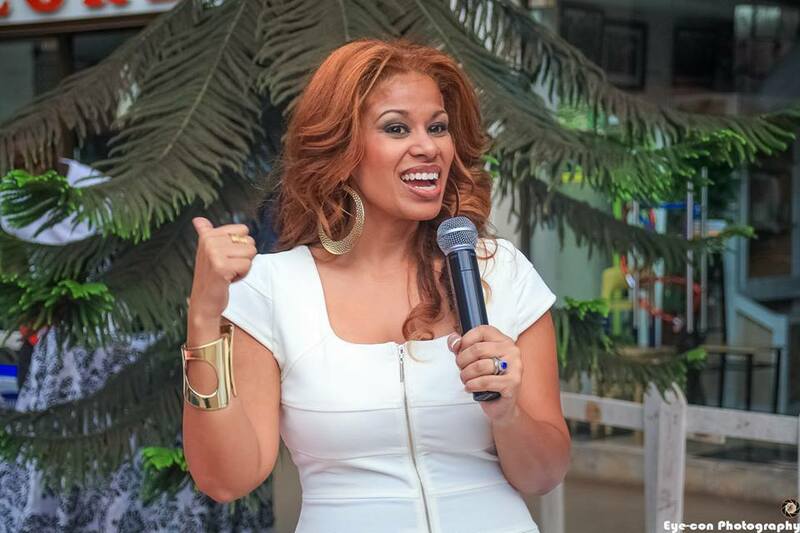 Contrary to popular belief, Julie Gichuru does not come from a wealthy family. Her father worked in the military and had some businesses on the side. Going for her college education put a financial strain on the family and her father had to struggle to see her through college.